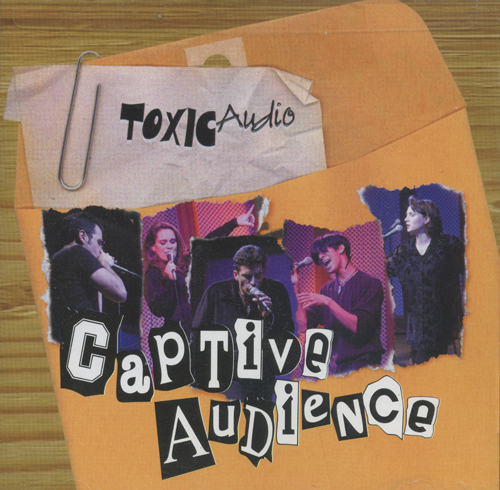 This phenomenally talented mixed quintet just "captured" the 2000 Harmony Sweepstakes, and the fourteen songs on this CD show exactly how they did it. Recorded in front of a live audience, this Florida based group, who earns their bread and butter at Disney World, absolutely tear up the floorboards. With material that is mostly popular - "Lean On Me," "Turn The Beat Around" and "Come Together" - their style is emphatically jazz-inflected, as are many of their arrangements, most of which are their own (though they include two by Yumiko Matsuoka-Young, Vox One's alto and one of the finest arrangers in a cappella). However, it's as performers that Toxic Audio dominate. Their professionalism and confidence are apparent, and they get inside each song and exploit every nuance. They have the experience to go for it, and the savvy to back it up. Co-produced by Jeff Thacher of Rockapella.